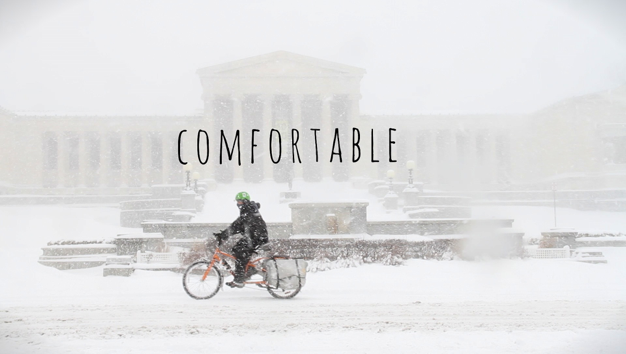 Comfortable is a short documentary portrait of a family of seven, who believe in a car free lifestyle and lead an active life on their cargo bikes in Buffalo, NY. The film chronicles their daily life as they commute to work by bike in Buffalo snow, and carry their groceries home in unconventional ways. The film questions conventional wisdom and invites audiences to consider alternative life styles to promote a healthier society and a cleaner environment.